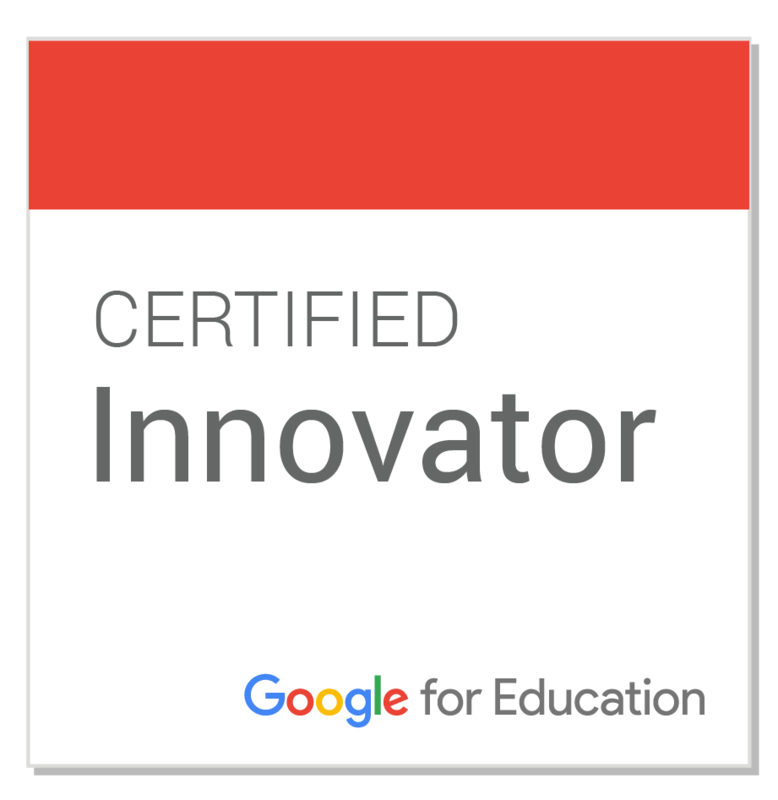 I was very fortunate to spend an hour in a year 0, or New Entrants, classroom this morning. 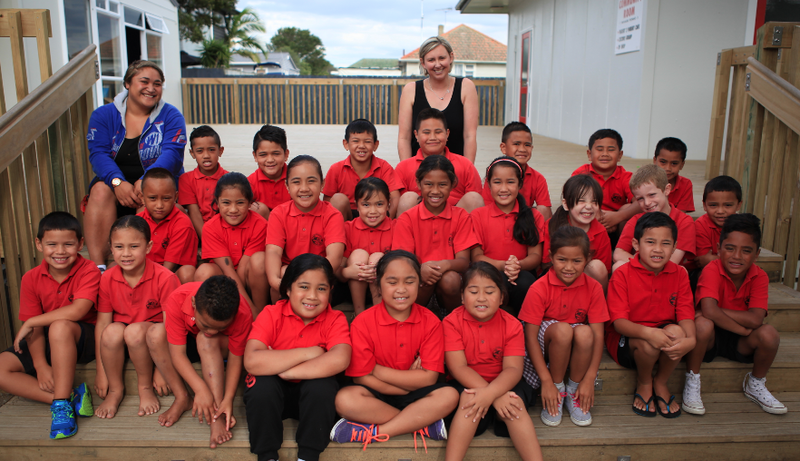 Their teacher - Katrin Rapold, is encouraging the children to record their learning using the camera app. 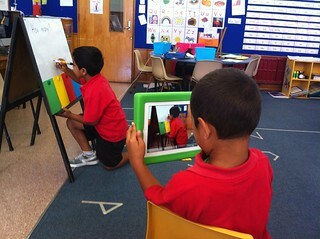 Each child knows how to access the video camera, hold the ipad and most can keep their subject in frame. They are not undertaking any ground breaking activities but they are making them rewindable. Two boys worked together to complete a statistics exercise where they were counting the numbers of coloured teddies. They have been practicing statistical vocabulary alongside counting to ten. After Zafar had counted all the teddies and recorded the results, Jacob took over to try and explain their findings. 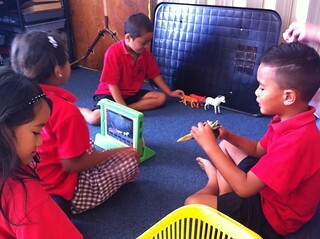 At the conclusion of the boys' activity they straight away switched the camera to "view mode" and excitedly sat together to watch their learning. 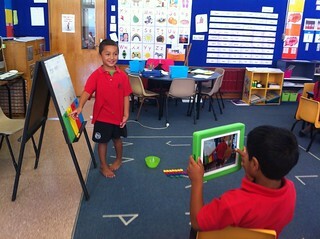 Jacob even held the ipad aloft to let his classmates see. They quickly discovered that they had filmed a lot of activity from a distance so they couldn't hear each other speaking. Other reflections included praising each other for their role in the task, discussing who else could watch it, as well as a lot of laughing. 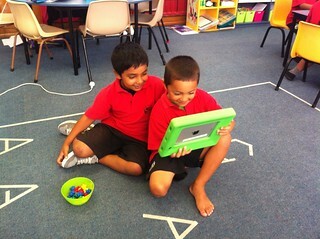 I took the chance to ask the boys about what they enjoyed about iPads and filming. They absolutely loved sharing their lesson with others. I then spent 5 minutes showing a small group how to use I Can Animate. It is such a simple program that I knew it would work well. The class had (laboriously) completed a couple of stop motions earlier in the year, so the concept wasn't completely foreign. We made a 2sec clip with a teddy bear. I then left the group to establish a story using animals while I left to get a stand. Upon retuning, the kids were all set up to tell the story of two tigers chasing a lion. Levonah straight away was able to remind the others to keep the ipad very very still and to only move the animals a little bit at a time. All the technical skills were easily remembered by Jacob and Levonah, even keeping hands and legs out of each picture. My favourite comment from Levonah was about how she wanted this movie to be on her blog - so her family could see. I was very lucky to get to "play" with a cool class of five year olds who seemed in touch with what they were learning, desperate to share and were developing the ability to reflect.